A missing person case turned up in the Valentine Detective Agency. Your investigation takes you to the homey island of Far Harbor. As soon as you arrive, you'll discover the horrors that the Fog wrought to the island's denizens, and why the survivors are crowding in the last "safe" piece of land left. As you try to trace the steps of the person you're looking for, the harbormen, as they call themselves, desperately turned for your help, a mainlander. Will you unravel the deadly secrets the island is harboring and offer the people redemption? Or will you let their fates to the Fog? Welcome to Supercheat's unofficial guide to Fallout 4's massive DLC. The DLC offers an entirely new map with several locations, settlements, quests, and items. Once the DLC is installed, you can freely fast-travel between the island and the Commonwealth, and you can even move/provision settlers between your mainland and island workshops. Please use the menu on the right to navigate. Note: The author's game and PSN account is based in Asia, where the DLC got released 2 weeks after the official NA release date. Apologies for the delay. 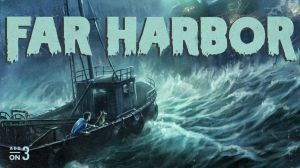 No discussions open for Fallout 4: Far Harbor at the moment.